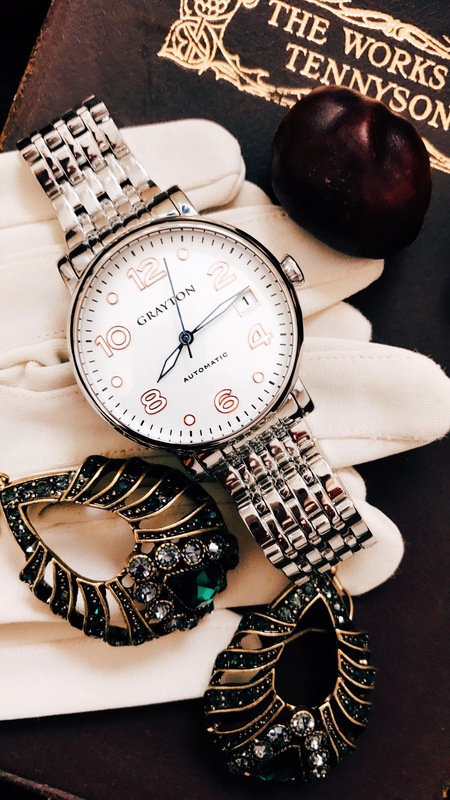 Beautiful Automatic Watch from Grayton Watches And an Exclusive 15% Discount Code for you! A timepiece is the perfect accessory, a thing of beauty and style which upscales any outfit. 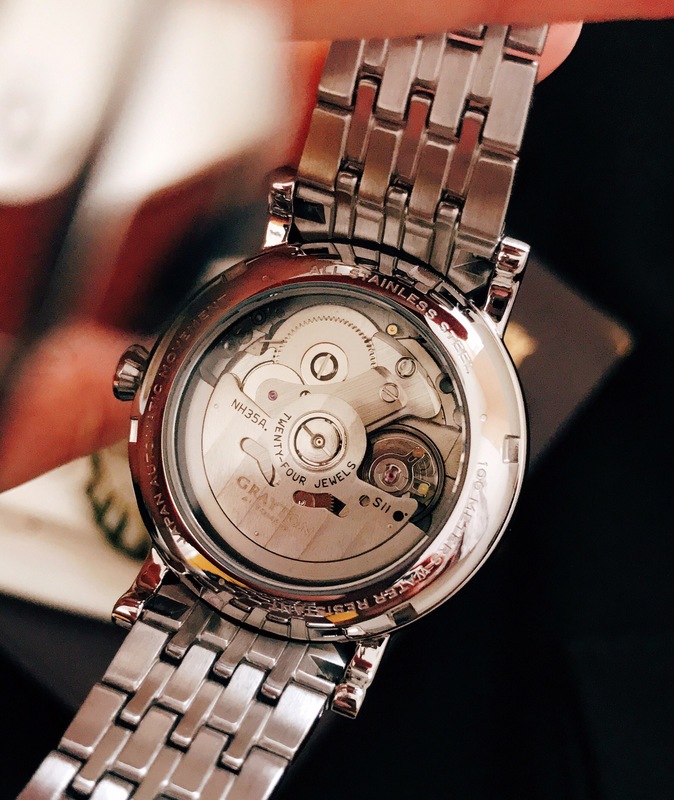 And no watch is more stylish and classic than a Grayton Watch, at least that’s what I think. 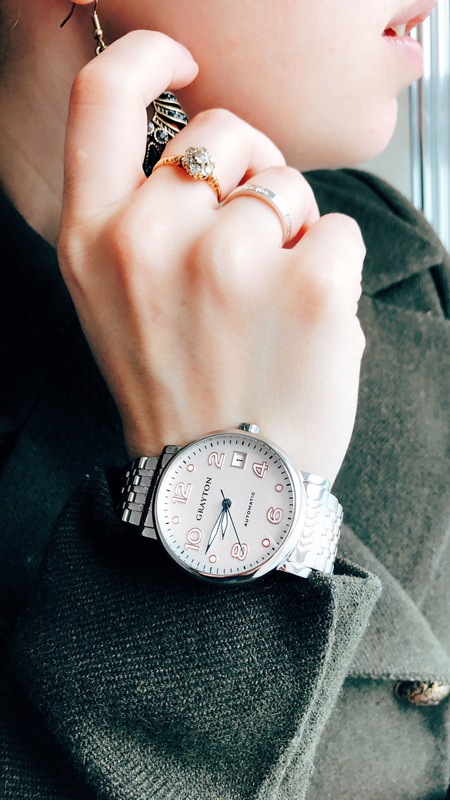 Grayton sent me a watch and asked me to share their brand with you, and this discount code for 15% off : FL-Fr-Grayton15%-HermioneFlavia which you can use on their site HERE. All opinions in this post are my own. When I was about 4 or 5 I wanted a watch really badly. I couldn’t read the time yet, but I felt like a watch was something precious and magical. My father had one, it was a beautiful chunky thing, and my mother had a beautiful, slim white one which didn’t even have numbers on the face (how could she tell the time without numbers?). I knew that these things were full of cogs and wheels and apparently a crystal which all worked together to take control of time. Ever since then, I’ve had a love for these devices, because they’re such a beautiful, personal thing, and used to be passed down through families. 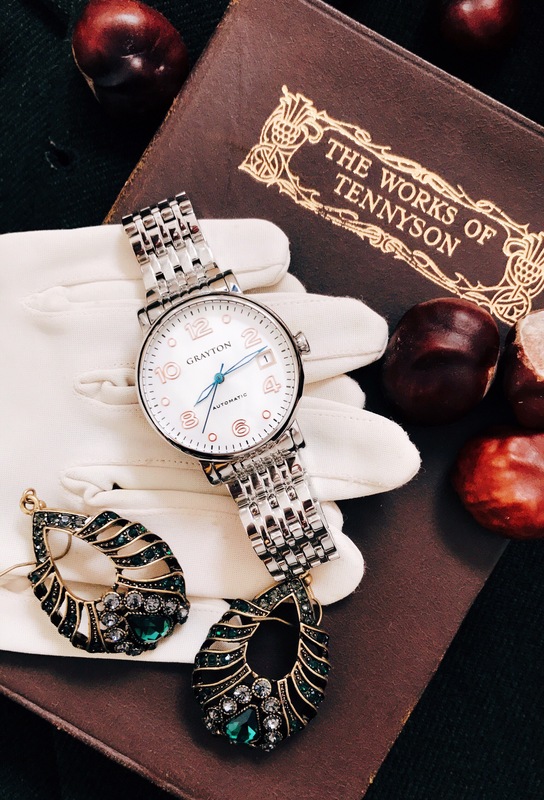 It’s this focus on tradition that for me feeds into ideas about watches as beautiful accessories, of wearable art with a history and tradition all their own. Something precious to covet and enjoy, which is why I focused on more traditional styling in my pictures. Their pieces which you can give as a beautiful gift, or pass down to younger family members, are like the traditions and feelings shared through family, like stories of the past or life experiences. 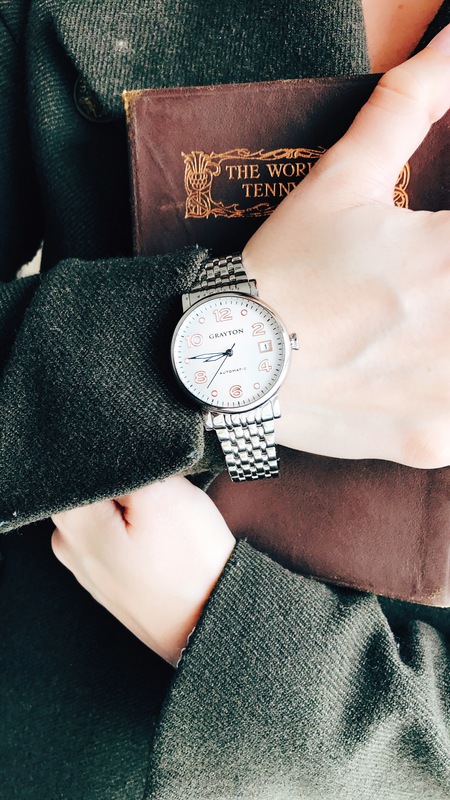 Beautiful and elegant, any outfit is upgraded by the addition of one of these watches, and you can dress them up or down, they go with anything. Which means that even though they’re a luxurious thing of beauty, and make a classic statement, they’re never inaccessible and don’t have to be saved for special occasions. A little everyday luxury for the life you have or the life you wish you had? Why not! What do you think? Isn’t it beautiful? If you like this, please check out their website HERE and use code FL-Fr-Grayton15%-HermioneFlavia for 15% off. If you love the one I chose, the direct link to it is HERE, and it retails for 285 Euros (which is about £240). 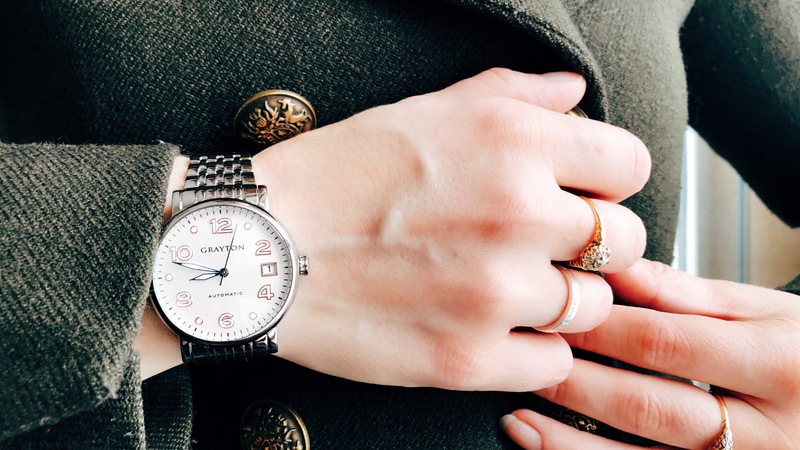 Grayton Watches ship free worldwide, have excellent customer service and free returns, and all watches come with a 2 year warranty. As I said, I love this brand, they sent me a watch of my choice for review and all opinions herein are my own. I certainly would never endorse a brand that I don’t genuinely love and believe in. Very classy, and I love the earrings too!